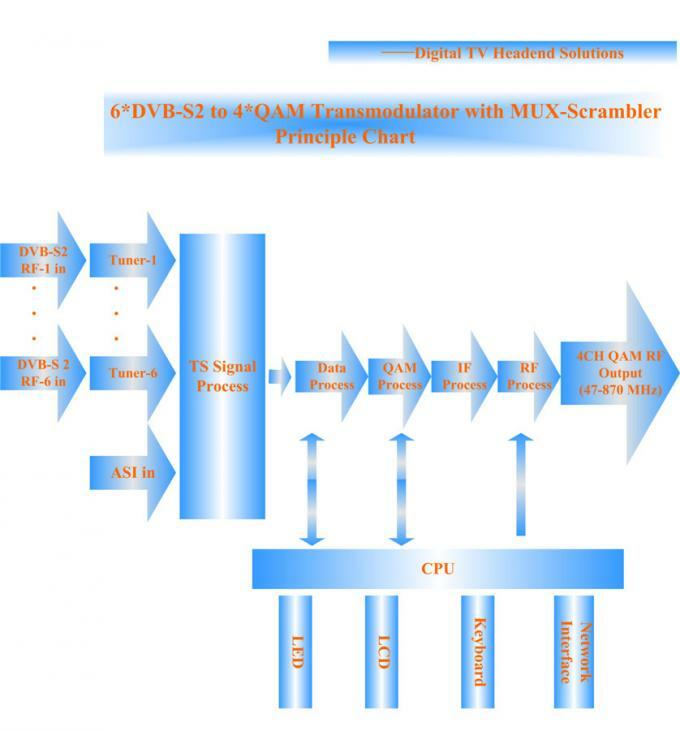 FL-4115 6×DVB-S2 to 4×QAM Trans-modulator support 6×DVB-S/S2 (QPSK/8PSK) transponders and 1xASI input, then multiplex and scramble the input signal to output selected programs through 4×QAM RF channels. It provides a cost-effective and stable solution for TV operators to re-distribute programs via HFC network. 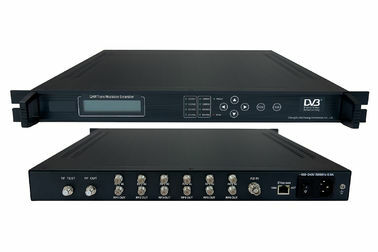 It suits 1U rack and can be configured by front panel LCD and NMS (network management software). Its high-integrated and cost-effective design makes it widely used in varieties of digital broadcasting distribution systems.